Seven celebrity mums that we're obsessed with. 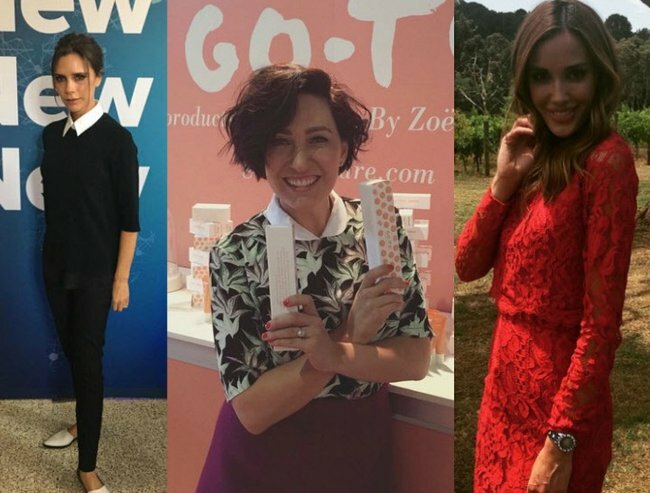 Celebrity mums we’re completely and utterly obsessed with. It’s a bit hard not to get caught up in the world of celebrity sometimes. But for us, we’ve been having a particular obsession with some celebrity mums lately. She married universally-loved funnyman Hamish Blake. She herself is hilarious. She’s real. She’s a legend. She has a cute child. She is refreshingly real and tongue in cheek on social media. Zoe Foster Blake and her son, Sonny. Image via @zotheysay Instagram. Wife, mum, entrepreneur, internationally recognised style icon, fashion designer, mogul and former Spice Girl. PHEW. Not only does she also raise four children (albeit with some professional help, I’m sure) she managed to bag David Beckham. Hats off to you, Vic. Victoria Beckham and her son Brooklyn. Image via @victoriabeckham Instagram. She’s gorgeous, she’s famous, she’s a supermodel. But above all else, she counts motherhood as her most important job. Her son is her be all and end all. And she’s down to earth. Megan Gale and her son, River. Image via @megankgale Instagram. She produced the four beautiful Burgess brother specimens. And after her husband died in 2007, she raised them, all teenagers at the time, by herself. A teacher, she worked hard to keep them afloat. And imagine how much cooking, washing and cleaning was involved in having four boys that size. And when they all moved to Australia to play for South Sydney, she followed them. Superwoman. Julie Burgess with two of her sons. Image via Twitter. Julia Morris. Image via @ladyjuliamorris Instagram. Mum of two, comedian, actress, writer and TV presenter, Julia is without a doubt roll-around-on-the-floor-laughing funny. In 2010 she published a book called ”Don’t you know who I used to be? : From Manolos to Motherhood”, a memoir about moving to the UK, frocking up, dating, getting married, giving birth to her first child and coming home. In everything she does, she tells it like it is, doesn’t sugar coat this motherhood gig and gives us some roaring laughs along the way. The subject of a lot of internet trolls for her “skinniness” and “anorexic look”, Bec takes it all in her stride and continues to be one of the leading Aussie Rules WAGs. She presented the weather on Channel 9 all the way through her second pregnancy, her baby bump barely there on her slim frame. Yes, we envy her, but boy does she make mum life look glamorous. Bec Judd with her son, Oscar. Image via @becjudd Instagram. “Being a wife and a mother is probably one of the most extraordinary experiences, and the most fulfilling experiences in my life. But at the same time, it has been very difficult to balance the things that I want to do and have the freedoms that I want to have and also being responsible for you, and your brothers and your father. And I’m constantly, every day, trying to figure out that balance,” she said. Jada Pinkett Smith with her family. Image via Getty. She said that over time she has learned that mothers need to take care of themselves first. Here here, Jada. Mothers unite. Who are your celebrity obsessions, and why?